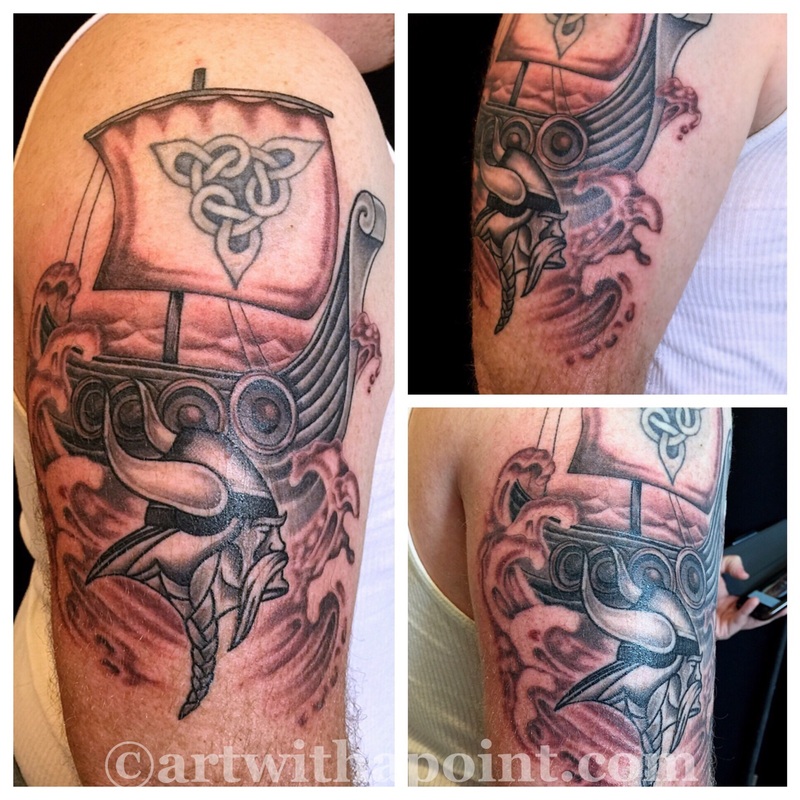 Fresh ink! 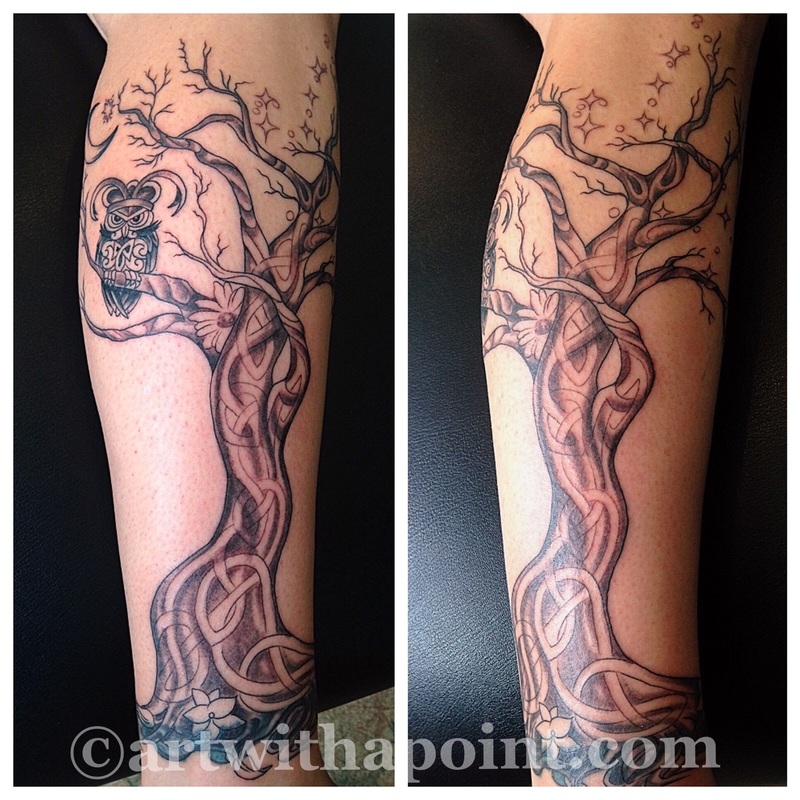 All kinds of fun today with this torq inspired blackwork custom Celtic crane! Wishing this guy the best of luck at the Masters World Heavy Games Championships! 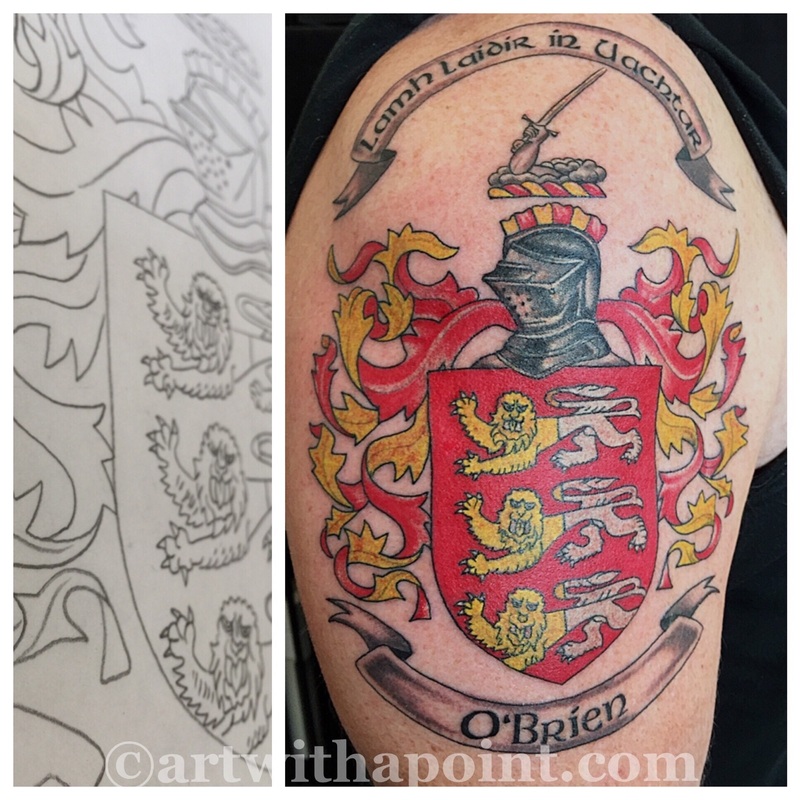 No doubt this family crest will bring him strength and fortitude as he tosses the caber, stone and hammer! 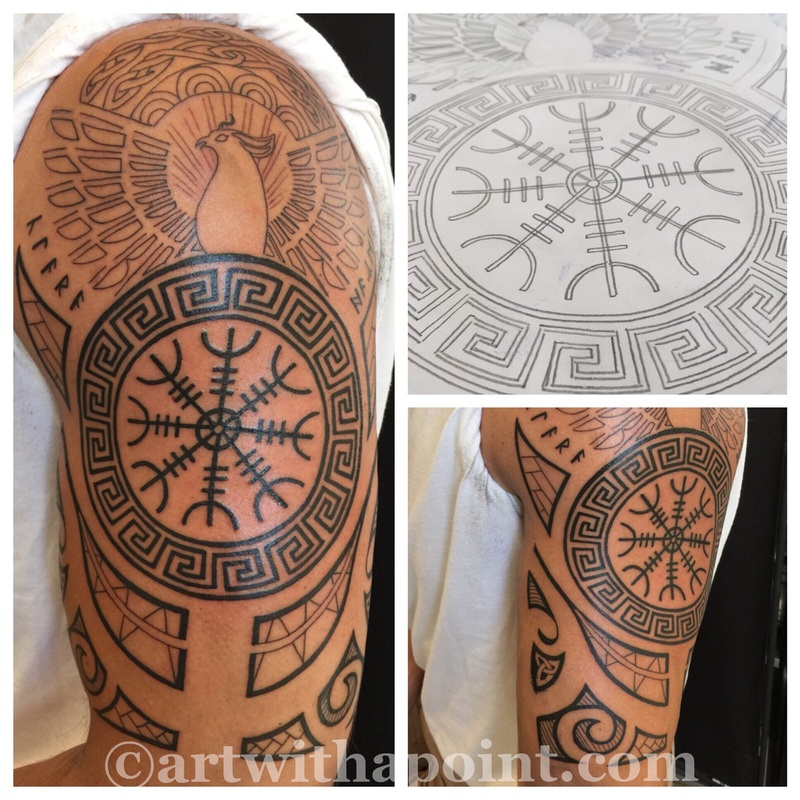 A geometric custom half sleeve inspired by several traditional tattooing styles! 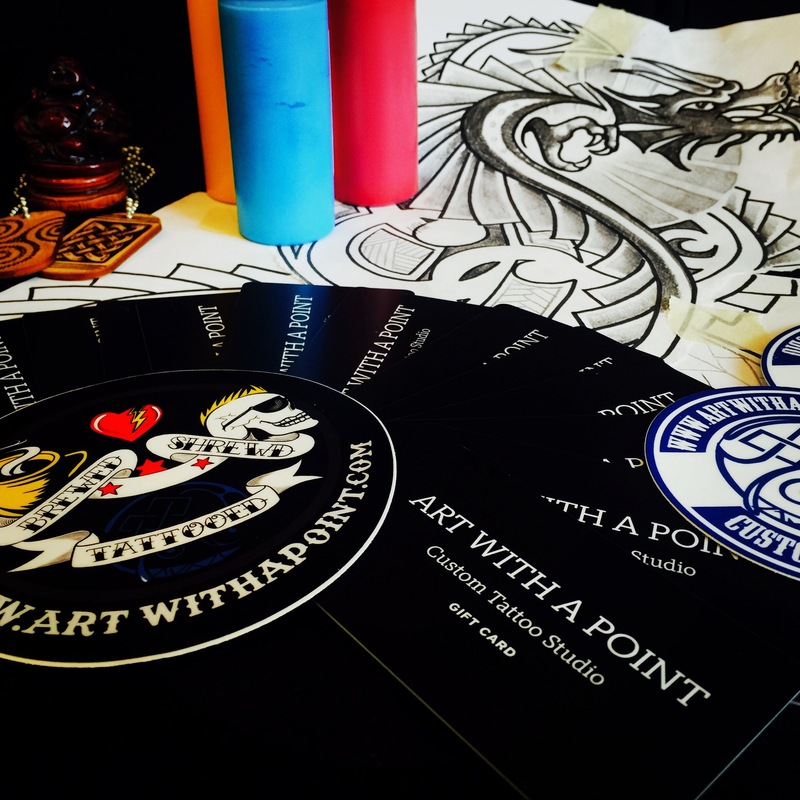 Stay tuned for the final product! 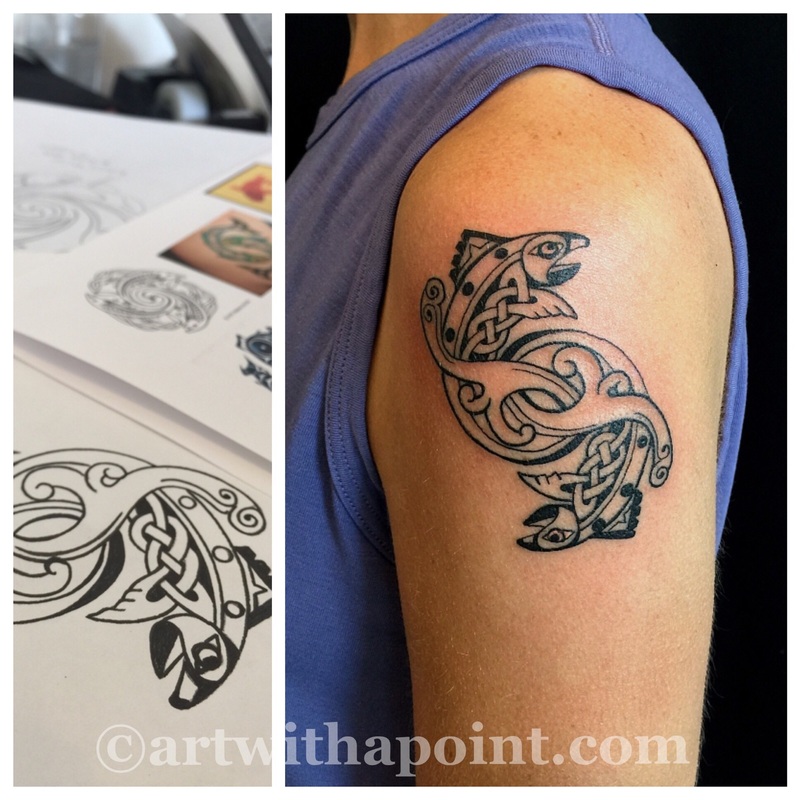 This fun custom piece combines influences from the Haida and Celtic cultures. 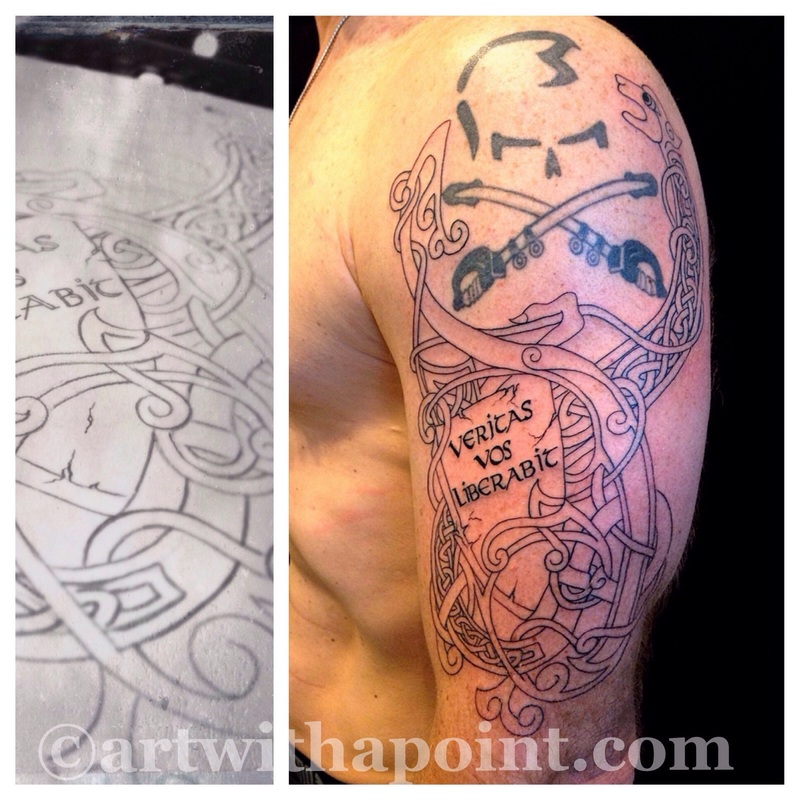 From references to concept sketch, to tattoo! Great to see you while you’re in Minneapolis, Michelle! 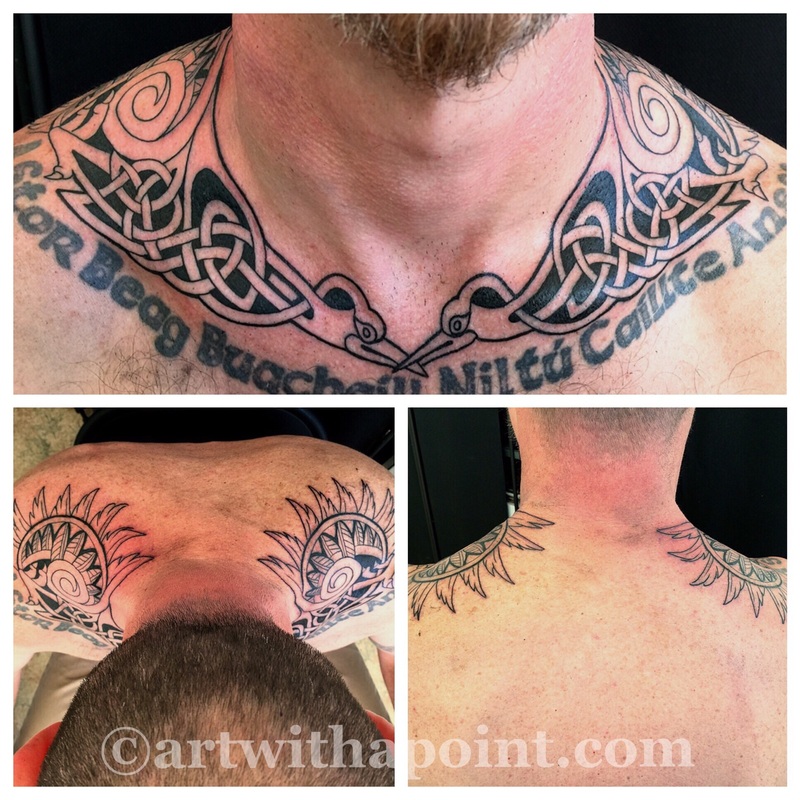 First appointment, custom Celtic hound half sleeve tattoo outline is complete! TBT. Only on a Friday. 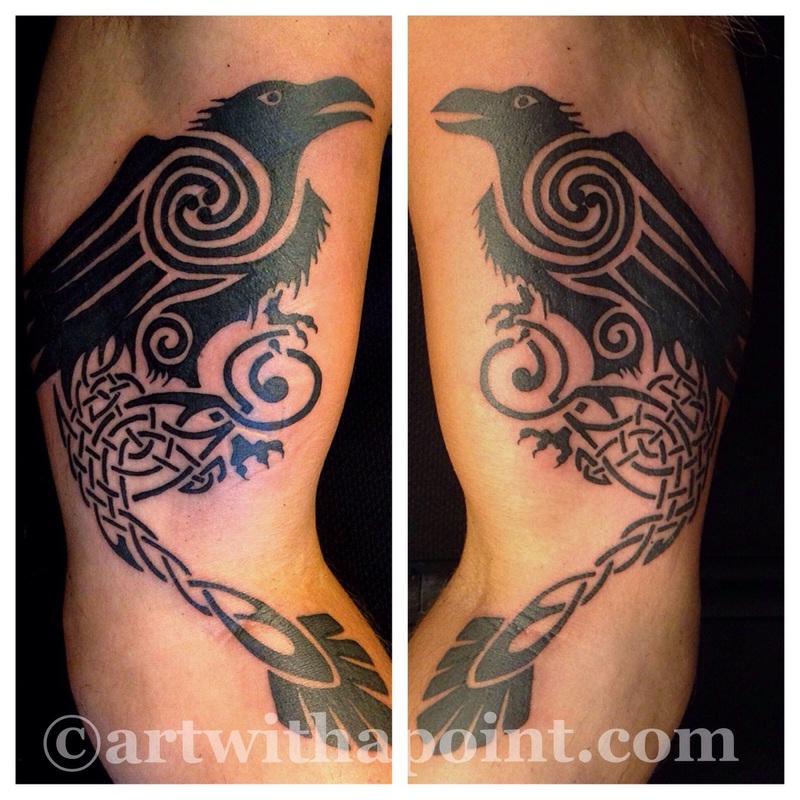 Traditional Celtic black work Ravens! 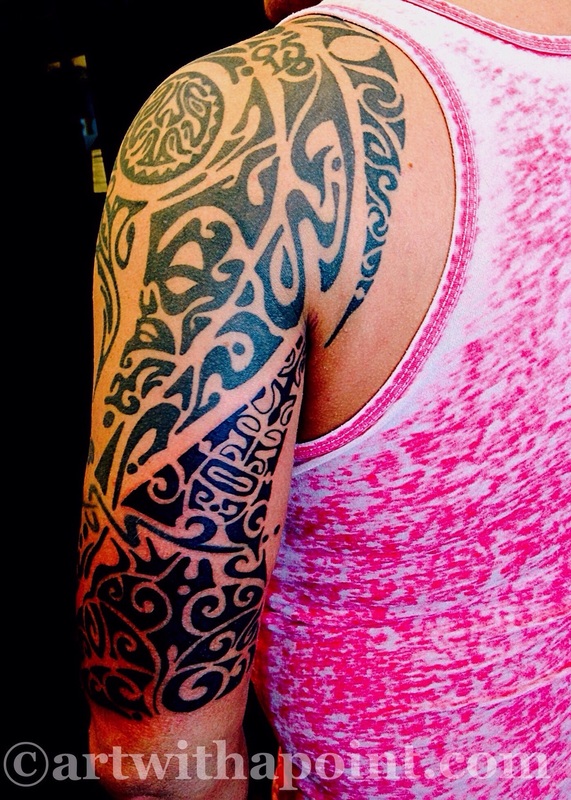 Riley traveled in to the Twin Cities from Rhode Island for this newest custom addition to his black Polynesian inspired half sleeve!